What better way to judge the health of the construction sector than by ushering in the first Urban Melbourne crane count for 2015. And the sector must be booming given the current number of tower cranes plying their trade, blitzing any previous count to set a new record at 131 units. 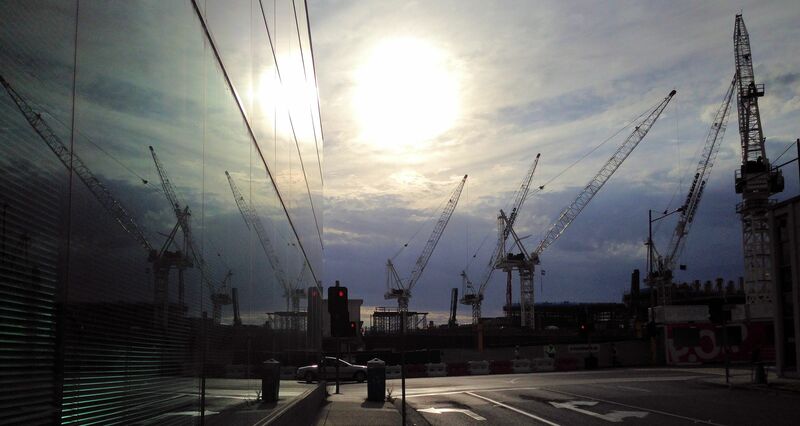 It's not necessarily the inner city shouldering the burden either with tower cranes spread far and wide. Ringwood for instance has seven in use while Werribee, Knox, Frankston and Melbourne Airport also add to the spread. At our assertion there's currently 131 tower cranes in use, comfortably outnumbering previous periods where the count averages roughly 110. While a variance of a handful of units is always factored in, there's no doubt that at this point in time Melbourne has never seen so many projects under construction. The importance to the employment rate and Melbourne's overall economic health can be extrapolated from the very healthy current numbers. Considered the wheel house of our city's property development sector, the City of Melbourne accounts for a relatively light one third of all the tower cranes currently in use, with the remainder throughout greater Melbourne. As always crane use for residential projects is at the heart of the census, accounting for 70% of all tower cranes erected at the moment. While those dedicated to commercial use have seen insignificant change over recent years, the number dedicated toward student housing and retail purposes have served to spike the crane count. Probuild are handling large-scale expansions of Eastland Ringwood, Chadstone and Pacific Werribee, which now account for ten tower cranes dedicated toward the retail aspect of these three projects. The combined monetary value of these three developments is about the $1.5 billion mark, with The Glen and Westfiled Knox also shaping up for regeneration during the latter part of 2015, which is valued at a combined $1 billion. The high demand for cranes in Melbourne has seen new operators flood into the market in recent years. 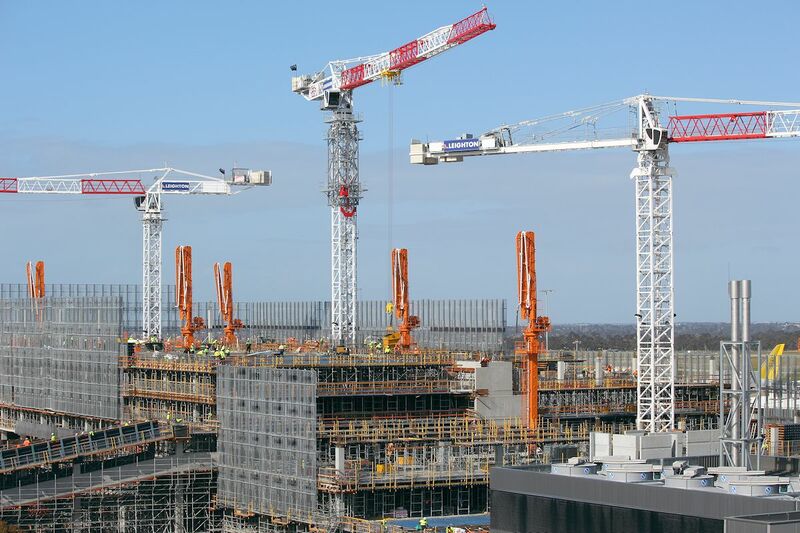 Latest to appear on the Melbourne skyline is Sydney-based Titan Cranes who provided cranes for Leighton Contractors' Melbourne Airport expansion, and are now present at Knox Private Hospital in Wantirna. Peering into the next Urban Melbourne crane count toward the last quarter of 2015, a host of high profile apartment towers will keep demand for tower cranes buoyant. The likes of Lighthouse, Australia 108, Victoria One, Tower Melbourne and EQ Tower are set to receive multiple tower cranes each over the course of 2015, with the shortest of these five being EQ Tower at 200 metres. Elsewhere a rash of projects in Docklands will see the precinct attract its fair share of tower cranes while Doncaster looks like a construction hot spot to watch in the latter part of the year.